Pawsitive Impressions: PET-CENTRIC, NEIGHBORLY, KNOWLEDGEABLE and TRUSTWORTHY Sue in Fairfax Solves Mystery of Dying Fish (and More)! 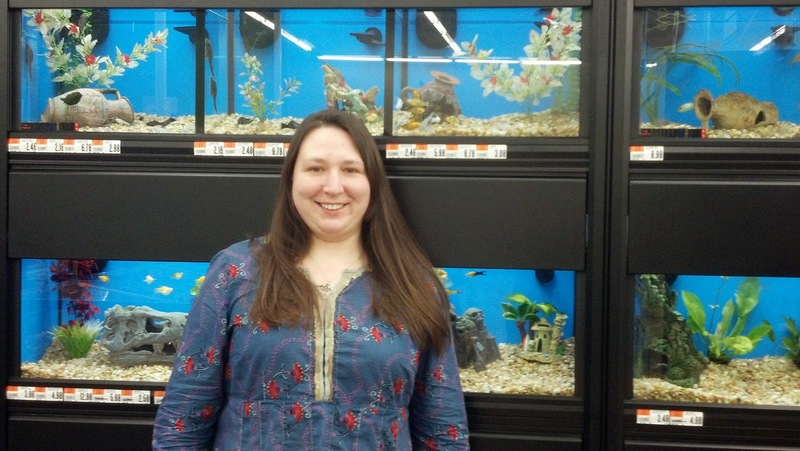 PET-CENTRIC, NEIGHBORLY, KNOWLEDGEABLE and TRUSTWORTHY Sue in Fairfax Solves Mystery of Dying Fish (and More)! Is that Sue checking up on the fish on her day off??? A few months ago I started an aquarium and bought most of my supplies from the PSP in Fairfax, Va. Unfortunately, during the past few months most all of my fish have died. My father and I went into the store to let them know about the horrible experience we were having with the tank. We went the whole nine yards trying to solve the issue but nothing seems to have worked. We spoke with Susan Bailey (Assistant Team Leader) and she was able to come up with a solution. I am writing because she is such an amazing employee that should be recognized for her hard work. She really went above and beyond for me. The PSP in Fairfax is my number one source for all of my pet supplies. It's employees like Susan that build the awesome reputation that PSP has. Not only did she help the situation with my tank, but she always offers to help customers by carrying their things to their car. She is quick to help and patient with customers and the employees that work under her.